La Joya ISD Campus Crime Stoppers participating in the Palmhurst Night Out. Looking forward until next year! 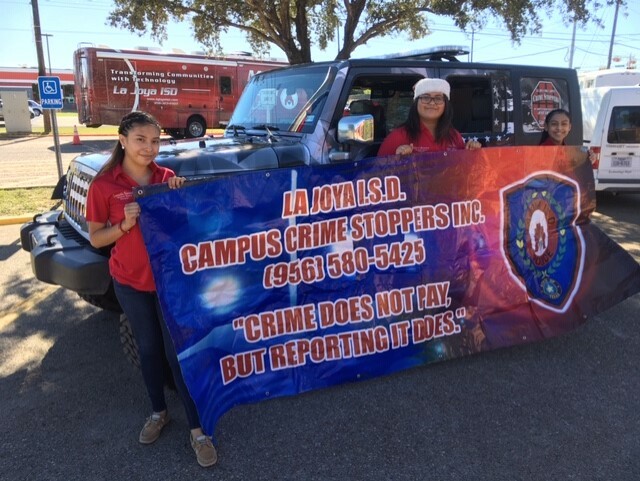 La Joya ISD Campus Crime Stoppers participated with the Sullivan City Police Department in their annual national night out. We are looking forward to participating their year! 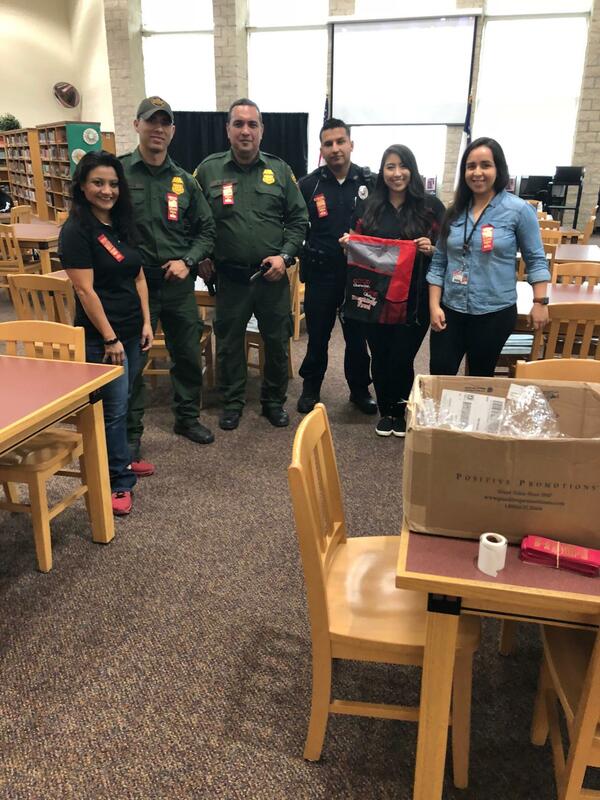 La Joya ISD Campus Crime Stoppers participated with the Border Patrol at Palmview High School during its week long Career Day and encouraging students to make the right decisions in school in their future. 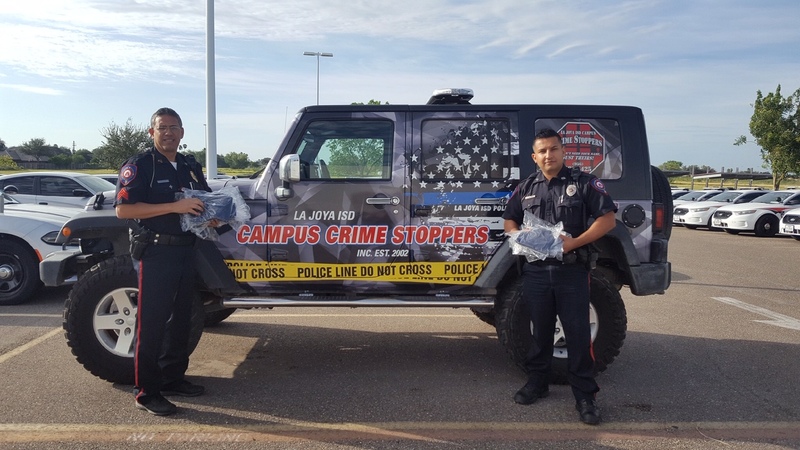 La Joya ISD Campus Crime Stoppers donated t-shirts to the Diaz Villarreal Elementary school.